Bingo in Tenerife. If you go for a wander in the evening around any tourist town, you may see numerous bars advertising the ubiquitous bingo on offer as part of the entertainment. This is a lucrative source of income for bar owners, as well as being a popular pasttime for many holidaymakers. but do you realise that it is illegal? Photo: Kees Jonker According to the law in Tenerife, the playing of bingo is only permitted in licensed bingo halls. You'll be relieved to know, no doubt, that the authorities turn a blind eye to the playing of bingo in bars for non-cash prizes, such as a bottle of booze or 200 cigarettes. The playing of the game for cash prizes, though, is supposed to be strictly confined to properly licensed premises. 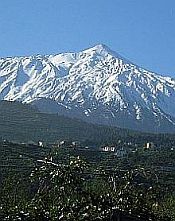 According to the law in Tenerife, the playing of bingo is only permitted in licensed bingo halls. You'll be relieved to know, no doubt, that the authorities turn a blind eye to the playing of bingo in bars for non-cash prizes, such as a bottle of booze or 200 cigarettes. The playing of the game for cash prizes, though, is supposed to be strictly confined to properly licensed premises. 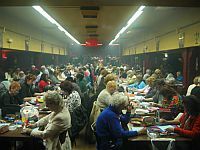 As is usually the case in Tenerife, there can suddenly be a blitz on illegal bingo, with government inspectors descending without warning on bars that are offering this innocent form of gambling and either issuing a stern warning, or issuing a quite hefty on-the-spot fine. Either way, the bingo ceases immediately. Some bar owners that have complied with this law subsequently find themselves a little peeved that a neighbouring bar may be continuing with bingo regardless and reaping the financial benefit. It's a bit like pot luck, unfortunately.